Toni: I saw a post on Kindleboards called “I’m looking for a few good writers,” and I had to check that out. Anyone who is looking for writers is going to get my attention. It’s like seeing a post along the lines of “I’m looking for someone who likes coffee and scones”—I’m there. Once there, I saw that there were some very dedicated people involved, and a couple of very big-name writers. I was intrigued, and not a little intimidated. But the clincher was: “all proceeds will benefit the National Center for Missing and Exploited Children.” Enough said. I wanted to join that project. Toni: ‘Excerpt from BADWATER’. BADWATER is book one in my Forensic Geology Series. ‘Excerpt’ is self-explanatory. Hmmm…I think I need a new title. 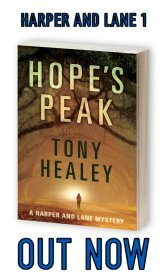 Toni: Two forensic geologists—a young woman and her father-figure mentor—are working a case in Death Valley. They’ve been called in by the FBI to use their geological skills to track mineral evidence from a stolen shipment of radioactive waste. They are up a canyon following a lead when someone sabotages their car, leaving them with no food and little water in the hottest place in the US in the middle of summer. The story is how they survive that ordeal, and how they learn that the radioactive material has been unleashed, and just how fragile the harsh desert can be. Toni: I love the outdoors, I’ve hiked and camped in Death Valley, and I always thought it would make a great setting for a story. I’m writing a series about forensic geologists, and for the first book I wanted a setting that was both enthralling and dangerous—Death Valley. And then I learned that there used to be a radioactive waste dump on the perimeter of the National Park. 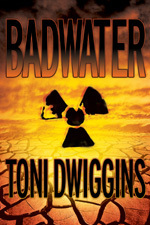 Toni: I adapted it from a scene in my book BADWATER. The scene was pretty much self-contained, but I did need to make some changes so that it would stand alone. Also, I needed to write a new ending. Toni: I hope to find readers who like the kind of stories I write. My stuff is something of a hybrid—part mystery, part thriller, part adventure. I think the piece in the anthology gives the flavor of the book, and of the series. So—I’m looking for my audience. Toni: I’m a plotter—until I get sidetracked and then I’m pantsing. I’m writing a series so I already have the main characters set, and the framework of the story–the protags are forensic geologists. So there must be a crime or two, and there must be earth evidence for my characters to analyze. Next I come up with a setting/theme. The stories concern environmental issues; for instance, the third in the series is about an undersea experiment gone wrong, in a nearshore hypoxic zone. Next I get to know my villain(s)–what motivates them, why they do what they do, what kind of havoc they wreak, how they threaten people and the environment. The conflicting goals of the protags/antags lead to scenes. I usually sketch out the major scenes all the way through–kind of an in-depth outline. Invariably, I detour from the outline in the writing, as the characters come more alive and chart their own course—the seat-of-the-pants part. But I always refer to my outline, to be sure I don’t head off into la-la land. I write at a computer beside a window looking out on trees and, usually, squirrels. My cats love the squirrels. SQUIRREL!!! A bit of a distraction now and then. I’ve tried writing at Starbucks but that’s more distracting than cats hissing at squirrels. He was right, of course. The ending worked only within the context of the book. As a standalone, the piece needed something new. I tried to make it kickass. Toni: Wow, that’s a tricky question to answer. Everybody? Let me say this: I’ve been reading excerpts of the other contributors and I’m honored to be included with all these writers. Some real talent here. I’m partway through Bernard’s Whitechapel book…and wow. Then, of course, there is Harlan Ellison. I read his stuff way back when and was hooked. 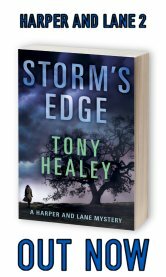 Toni: Since my genre is mystery/thriller, I’d go for a writer like Dennis Lehane or James Lee Burke or Laura Lippman. Hey, a girl can dream. Toni: More writing. Squirrel-watching. Cat-calming. Coffee-drinking. Whenever I can: hiking, skiing, kayaking. Book club with friends. A lot of family time. My younger daughter is studying in Bordeaux this year and so hubs and I are going to France for some R&R and wine and cheese and touring. Toni: I’m just doing final edits on book two in the Forensic Geology Series. The title is VOLCANO WATCH. It takes place in my forensic geologists’ home town—Mammoth Lakes, in the Sierra Nevada range. A volcano is rumbling, and FEMA has sent a rather psychopathic emergency-ops guy to get the town ready to evacuate, and the mayor’s body has just been found in a glacier. I hope to have the book up by December. Then onto book three. Toni: That I am absolutely thrilled when somebody reads my stuff and enjoys it. That I’d love to take them along for some mystery and adventure—get them out into the environment!